Coverage on the car you rent. Coverage on your auto policy which pays for a rental car while your vehicle is being repaired due to a covered loss. Insurance carriers refer to this coverage using different terms such as rental, increased transportation limits or something similar. Insuring a rental car is similar to insuring your own car. Coverage for liability, medical, and physical damage is required. It is important to know what you are purchasing. The car rental company offers multiple types of coverage that are named a little differently from your auto policy. 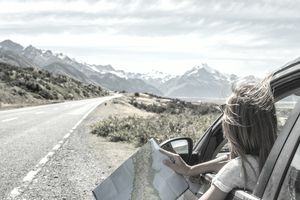 The range of price can vary greatly depending on whether you obtain coverage from your car insurance, a credit card, an online travel package, or directly from the car rental company. If you have full coverage car insurance on one of your insured vehicles, your car insurance coverage will most likely also extend coverage to a rental car. Your deductible will apply. The bigger concern is that the rental car company will most likely charge you rent on the vehicle while it is being repaired. Their vehicle is out of commission and they can not make money off of it. You could be stuck with a large bill even though your car insurance pays for the damage. Check the fine print or customer service representative to find out exactly what is offered from each source. If you are ever in a car accident and don't have access to a backup car, a rental car is a necessity. An optional coverage on your car insurance is car rental coverage, sometimes referred to as increased transportation limits. The coverage helps cover the expense of renting a car. The coverage is displayed using two numbers: Amount Per Day/Total Amount Covered. For example, if you have car rental selected on your policy it may be listed as 30/900 or 50/1500. The first number represents the amount available to pay out daily and the second number represents the total amount paid over 30 days. If your car rental coverage is 30/900 and your car rental costs $35 a day, you will be responsible for $5 a day. Car insurance coverage that pays for renting a car is only usable if you have a covered loss. Your car must be undrivable due to a loss in order for the coverage to pay out. It does not cover mechanical maintenance repairs or if you are going on vacation and need a rental car. Some insurance companies may offer a small automatic coverage like 15/450. Check with your insurance carrier to see if your policy pays towards a rental car after a covered loss. Car rental insurance is important to understand. Nothing is more frustrating than thinking you have coverage for something, just to find out it's not what you thought. Car rental insurance protects you when you need a rental car and when you are driving a rental car. Knowing what coverage you need, and where to get it can save you from a monstrous headache in the future.